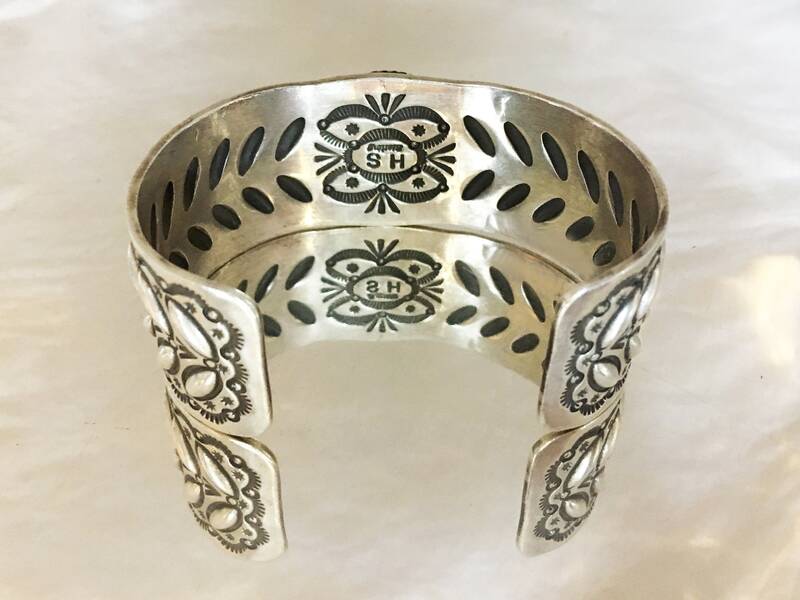 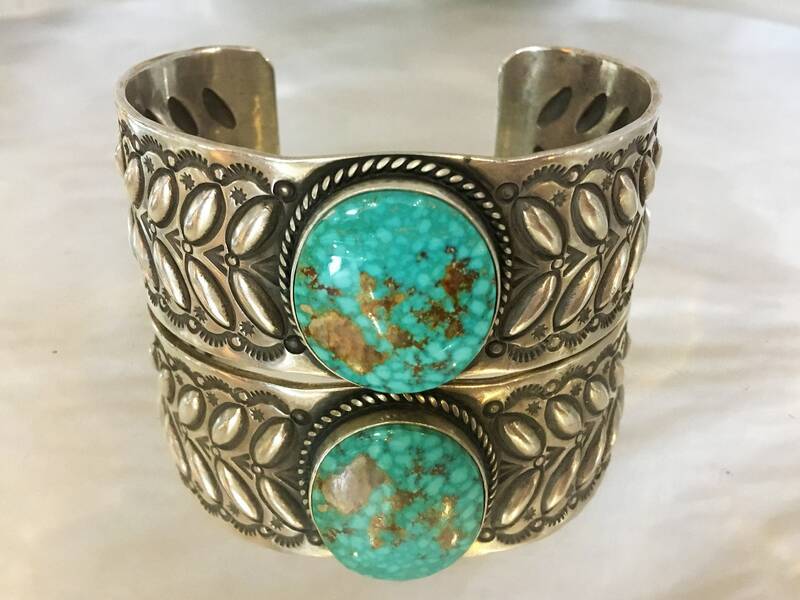 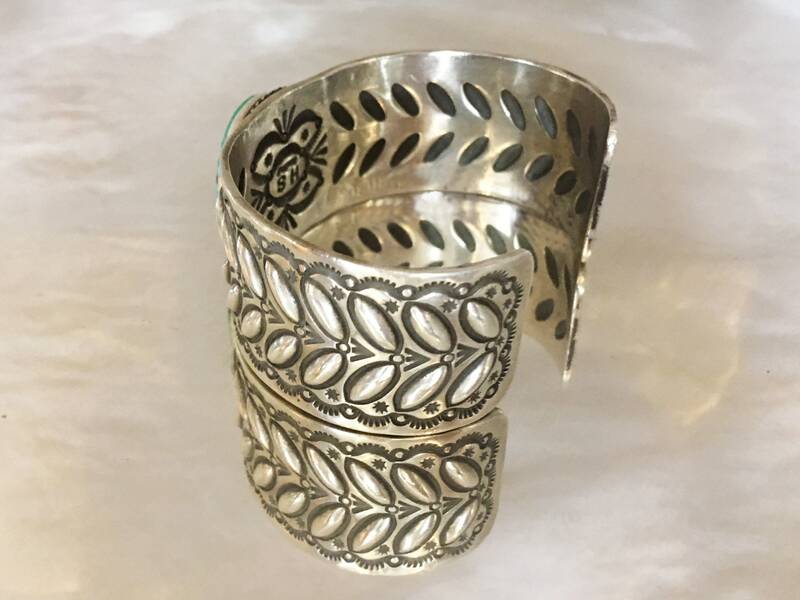 Hailing from the traditions of the Navajo Nation, this stunning sterling silver and turquoise cuff bracelet by Herman Smith is a show stopping collectable. 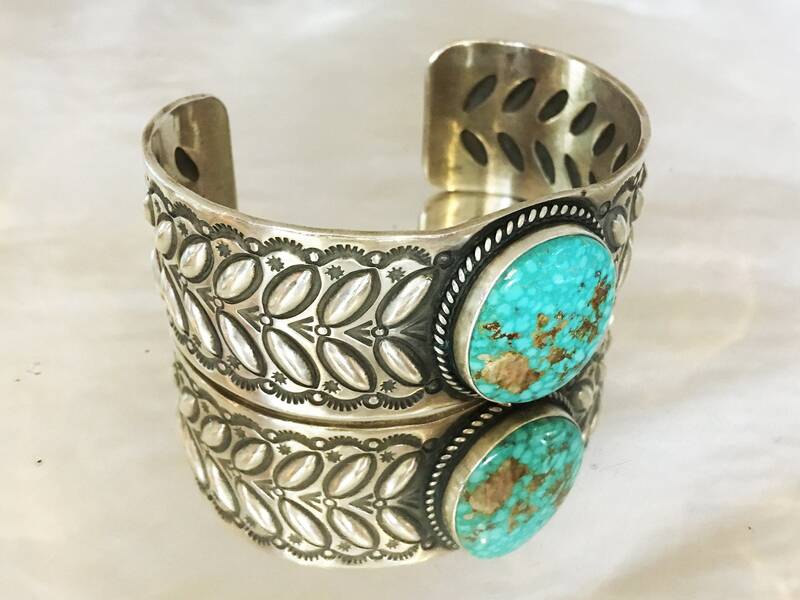 With it's intricately detailed band and gorgeous turquoise center stone, this piece adds an air of bohemian style to any look. 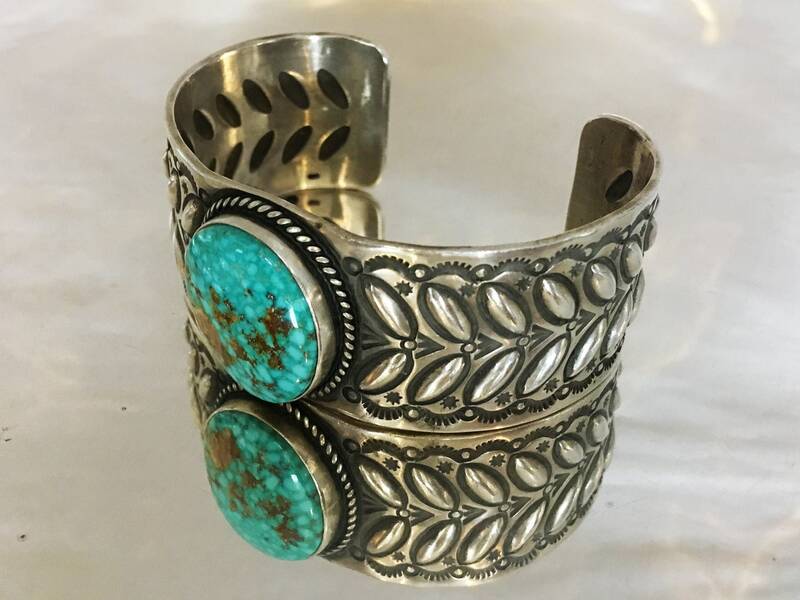 Stone Dimensions: 1/2 in. 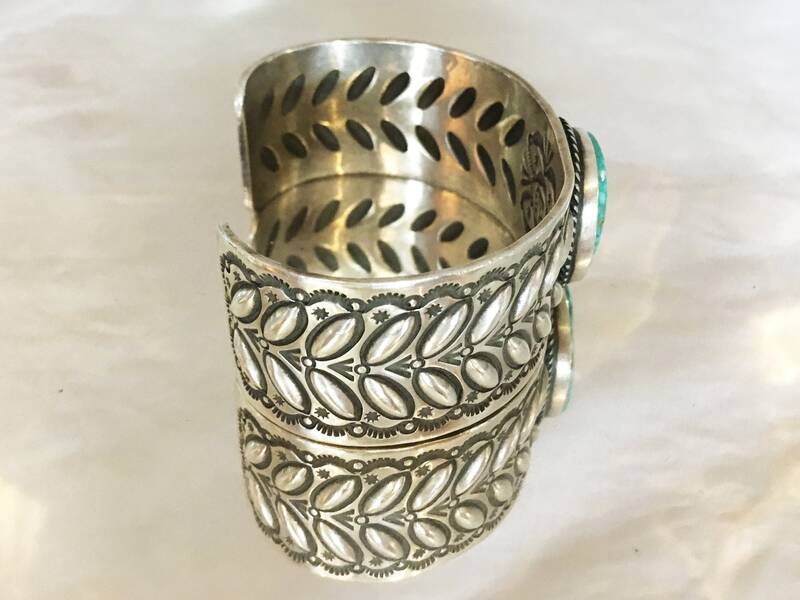 x 7/16 in.